General Motors is known to be a quality manufacturer, and the Chevrolet Silverado 1500 can definitely withstand the test of time. Over the years, this heavy-duty vehicle has proven is capability time and time again with top-level engines, exceptional durability, and safety features that help drivers to feel secure as they journey near and far. This treasured full-size pickup truck has a long history of success, and we’ve uncovered some of it below. 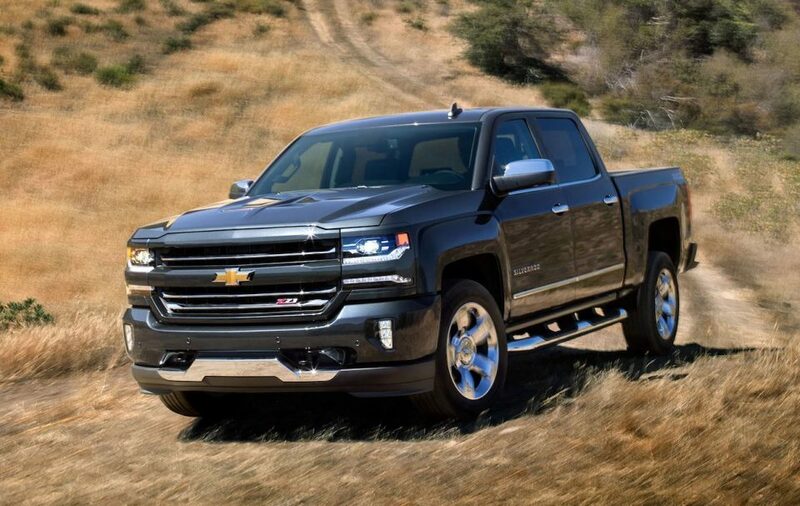 If you’re in the market for a new vehicle, take a look and decide whether or not the Chevrolet Silverado 1500 is the right choice for you. General Motors first introduced the “pickup truck” in the year 1930. Later, in 1975, the term “Silverado” was used as a trim level name for Chevrolet CC and CK pickups, Tahoes, and Suburbans. This lasted through 1999, when the first generation Chevy Silverados and Sierras were introduced. Initially, these vehicles were not heavy-duty pickups and they showcased a simplistic design. However, the 2003 models boasted a redesigned look and upgrades for HVAC and audio controls. When the year 2006 rolled around, the Chevy Silverado received a major overhaul. The 2007 model, released in the last quarter of 2006, featured a new exterior, interior, suspension, and frame. Plus, it offered more power than before and improved aerodynamics. Subsequently, the tighter panel gaps and steeply raked windshields resulted in an improved fuel economy, making this vehicle a definite force to be reckoned with. It offered buyers the opportunity to choose between two door regular cabs, four door crew cabs, and four door extended cabs. Buyers could also choose the direction that the truck’s rear doors opened: either 170 degrees or in the same direction as the vehicle’s front doors. The new Chevy Silverado gave drivers the opportunity to make the vehicle their own! This All-New Silverado was so good that it earned the 2007 North American Truck of the Year award. Additionally, it was named Motor Trend magazine’s 2007 Truck of the Year, proving that this pickup truck was better than ever before! The Chevrolet Silverado was redesigned yet again for the 2014 year model. It boasts three engine options: the 4.3 L EcoTec3 V6, 5.3 L EcoTec3 V8, and 6.2 L EcoTec3 V8. Therefore, drivers could now choose the power that they need for their day to day duties. There were other features on this vehicle including MyLink touch-screen multimedia interface system, A2DP stereo streaming technologies, USB hookups, USB port and Bluetooth hands-free telephone. You’ll also find a Bose premium audio system, a surround sound audio system, and OnStar. Things are taken a step further underneath the paint. This vehicle has a fully boxed high-strength steel frame that’s made with hydroforming technology. Therefore, it’s packed with even more power than you can see at first glance. Are you ready to get into a Chevrolet Silverado 1500? Purchase one of your own from the professionals here at Jay Hodge Chevrolet. Would you prefer a Chevy of a different make and model? Leave it to us. Our professionals have got you covered. The staff here at our Sulphur Springs dealership will gladly go the extra mile for you. We’ll listen to your concerns, assess your needs, and get you into the quality vehicle that you’ve been searching for. Stop by and allow us to assist you with the purchase of your next car, truck, or SUV today.